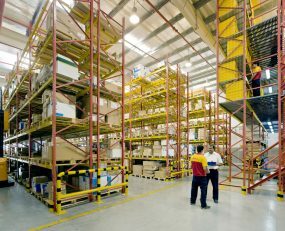 DHL Supply Chain has announced the opening of a new multi-user, multi-purpose facility in Avonmouth, England, enabling customers to reduce wasted space and overheads by using shared facilities and vehicles. The 11-acre regional distribution centre based outside Bristol, will service the south-west region, allowing deliveries into regional towns and cities with fewer vehicles and journeys. With 120,000 sq ft of ambient chambers and 35,000 sq ft of temperature-controlled sheds, the facility is designed to cater for a range of needs. Flexible dock doors and ground level access points will allow for a range of vehicles to be controlled from the site and electric vehicles and charging points have been included with sustainability in mind.